Hard luck to the Minor A girls who lost 2-1 to Holy Child Killiney in the semi-final of the Junior Cup. 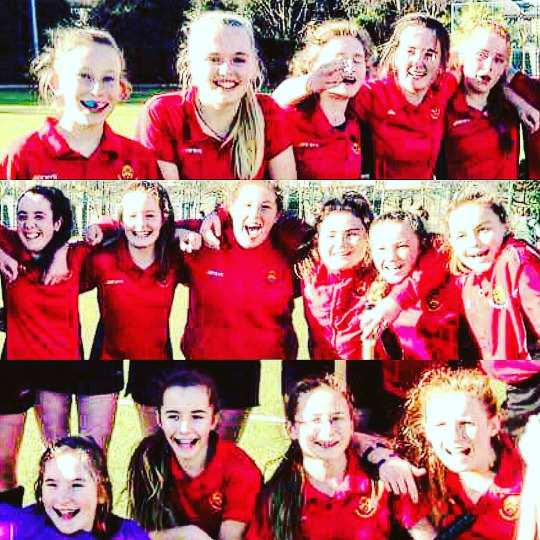 We fought back from a 2-0 deficit with Orla Prendergast scoring a brilliant goal. After a tightly- contested match, we conceded a narrow victory to the opposition. Well done to the team and thank you to all our supporters! Each Form 3 pupil will fill in an entry form on Tuesday, 8 March, for their Junior Certificate Exams. This will include the appropriate level (ie. Higher/Ordinary etc.). This photocopy will be brought home to be signed and returned on Wednesday. The original document is then completed and sent off. No changes to the stated level on this form are permitted. 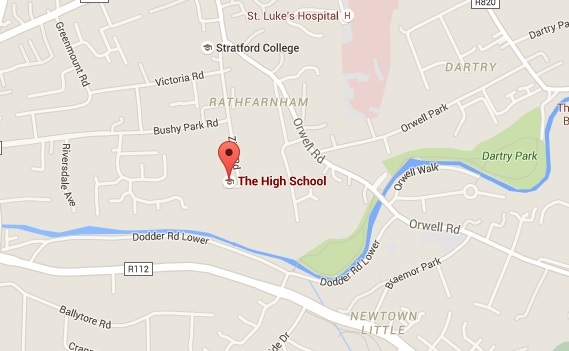 Teachers are doing their best to contact parents over the next days if a change in level is recommended. We are processing reports as quickly as possible. leaders Enda Kenny, Fine Gael, and Joan Burton, Labour, drew close to Gerry Adams, Sinn Féin. elected without reaching the quota. Thanks to everyone who voted. On 11 February, a group of pupils from Form 4 and 5 performed an adaptation of Sophocles' Antigone at St Andrew's College, as part of the One Act Drama Festival. On that same night the awards ceremony was held, and we were presented with an award for Best Adaptation, and Aela O'Flynn won the well-deserved award for Best Actress. All in all it was a great experience for all of us, especially for those who hadn't had a chance to act in front of an audience before. We were delighted with how well the play went down after all the hard work that was put into it - most of all by Mr Milofsky, who wrote the adaptation himself. If it were not for his patience and constant motivation (mostly by means of Custard Creams) the entire production would have fallen apart. We must also thank Ms Browne for her support during the week of the play, and Paddy, who provided transport for us to St Andrew's College. 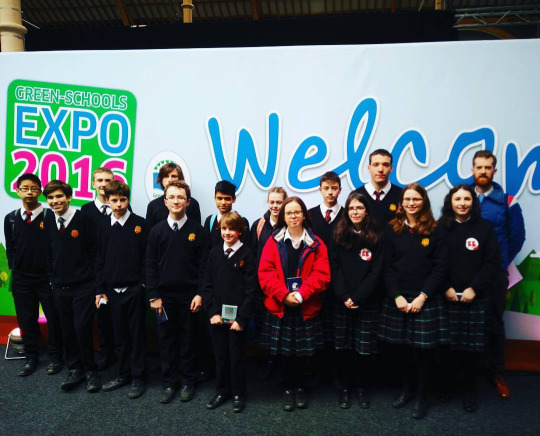 Last Thursday members of Green Schools went to the RDS for the first ever "Green Schools Expo." 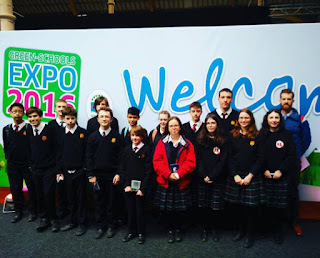 There were projects on display from schools all over the country. It gave us an idea about what's involved in achieving our third green flag, on the theme of water conservation. 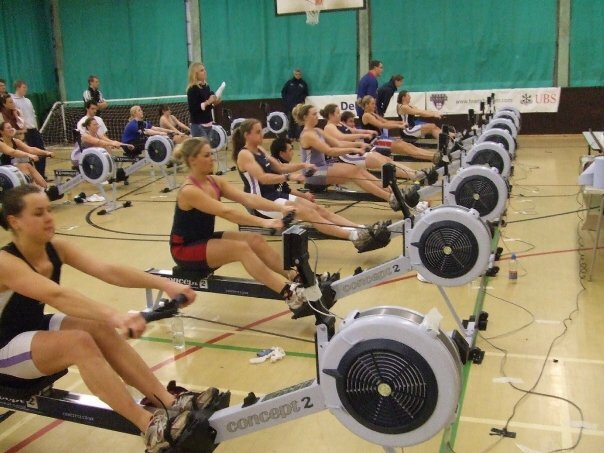 Congratulations to Daisy O'Toole who has been selected to row for Leinster in the Irish National Indoor Rowing Championships. Well done, Daisy! 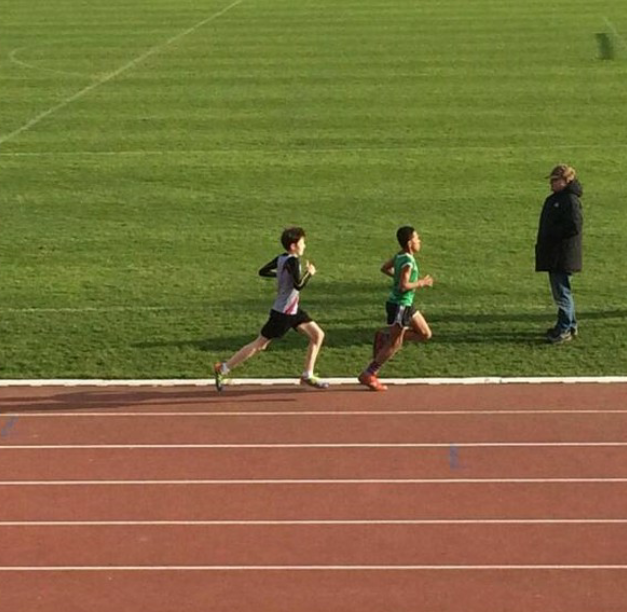 Congratulations to Ciaran Adair who has qualified to compete in the All Ireland Juvenile Indoor Championship at the AIT International Arena in Athlone having been placed second in the 800 metres event at the Dublin Juvenile Indoor Championship. 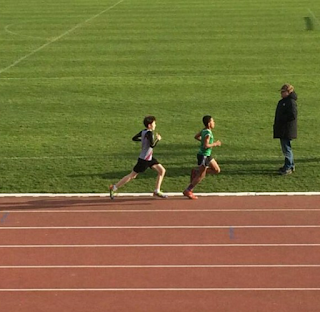 We wish our pupil every success as he competes for honours at national level on 12 March. 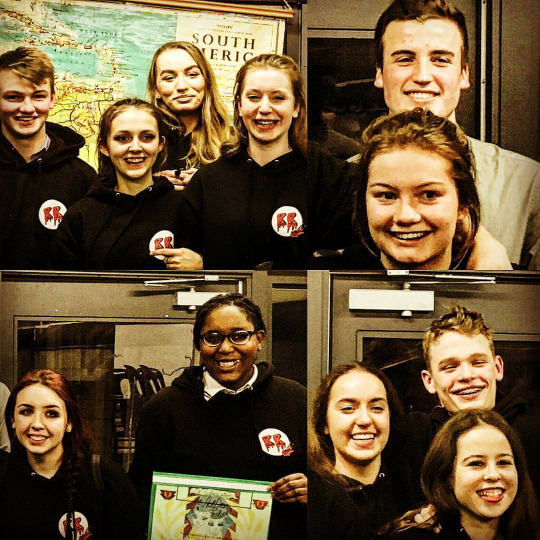 The School, the Parents' Association and the Past Pupils Union have come together to fund the purchase of the new School Mascot. He has already been seen on the sideline, cheering players on and generating school spirit. Pupils and parents have been busy suggesting names for the black panther on the School Facebook and Instagram pages. 'Bewley' and 'Habicat' were popular suggestions. So, if you have any ideas, why not enter the "Give the Cat a Name" competition? You can also register your suggestions with Ms Wiggle in the library. On Tuesday 9 February The High School swimming team swam a kilometre for Habitat for Humanity. It was tough but everyone managed to pull through and completed the kilometre. We felt proud to swim for such a good cause. 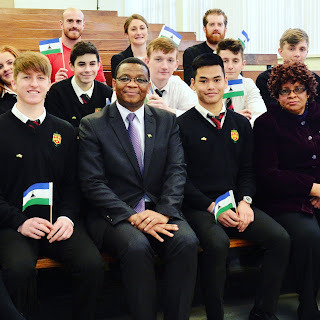 On Monday 22 February, the Ambassador of the Kingdom of Lesotho to Ireland His Excellency Mr Paramente Phamotse came to talk to Form 4 pupils and this year's Habitat for Humanity team who will be travelling to Lesotho during the Easter holidays in March. His talk on Lesotho was most interesting and The Ambassador was more than willing to answer any questions that the group had to ask. Afterwards, the Ambassador and the Habitat team had a more in-depth conversation about their upcoming trip. We would like to thank His Excellency Mr Paramente Phamotse for taking the time to come to our school to talk to pupils. 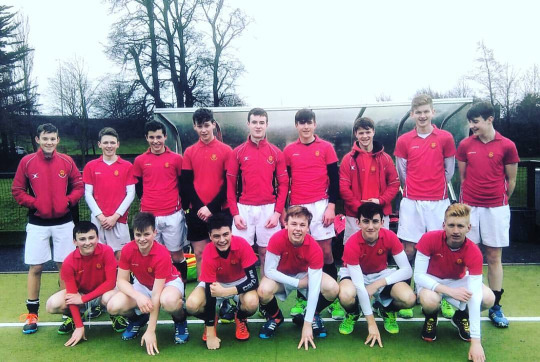 Congratulations to The High School Senior 1 boys' hockey team which defeated The King's Hospital 2-1 to qualify for the final of the Senior Trophy competition. We warmly congratulate the team on its achievement and wish all members of the squad every success in the final round. Once again there was great excitement around the school when the Minor A boys' hockey team qualified for the Leinster School's league final thanks to the team’s brilliant performance in their semi-final match, defeating St. Kilian’s 5-0. The sun shone down on the pitches at Wesley College, and on a team of eighteen Form 1 and 2 boys, led by their hockey coaches, and of course their brilliant fans and comedic mascot. The match started late into the afternoon as we pushed back against a strong Wesley side but despite a valiant effort, we went into half-time 0-2. 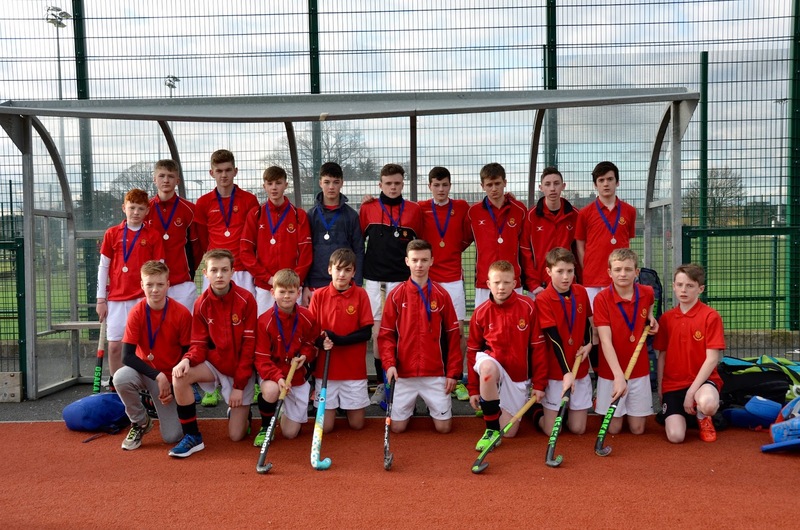 After a motivational half-time talk from multiple coaches and team mates, a much stronger and willing High School team emerged. 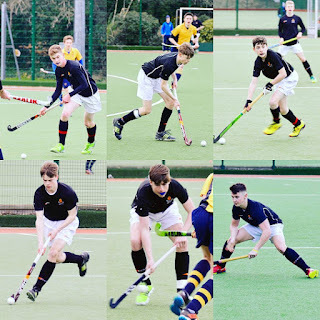 Although we weren't the victorious side, we never dropped our heads and still put in a very good performance, with the match ending 1-3 to Wesley College. Production meetings take place on Wednesdays, Thursdays and Fridays (see board for times). Any Juniors who want to help with production should see Ms Browne. Fifth Years are always welcome to come along and help. Labels: Computer Applications at The High School. First Year Girls' Hockey - Success against Wesley! 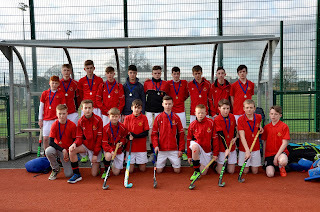 High School 1st Year A beat Wesley 5-1 this afternoon. Well done girls! A Minor High School Hockey Victory!